When talking about targeting Chinese, influencer marketing plays an important role and KOLs (Key Opinion Leaders) or simply influential bloggers should be part of the China marketing strategy. Why? Just say WeChat, in 2017, there are already 20 million official accounts (up from 8 million in 2016). Brand visibility remains a real challenge on Chinese social media platforms. According to L2, compared to luxury brands’ own posts, KOLs’ posts tend to have four times as many views and eight times as many interactions on posts. Nonetheless, for independent hotels, it is not just impossible to stand out on Chinese social media, it is also almost impossible to engage KOLs or bloggers due to cost. Okay, say you have unlimited budget, but how often will the same travelers return to the same destination and stay at the same hotel again? So unlike chains which they can “regenerate” the followers interest to worldwide destinations, independent hotels need to find new customers all the time which again, in my opinion, not a viable option to do this on your own. 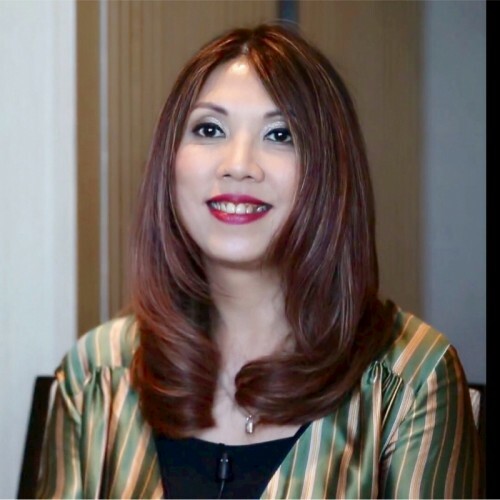 First, we have May Lam, a cross-media travel KOL that has published 6 travel books and a well-known travel columnist at leading travel magazines. May has won many travel KOL awards in the past. She appears frequently on TV and radio shows and she is a guest speaker at many travel events. May’s articles & posts reach a wide Chinese audience on key social media channels especially Chinese travelers. Next, we have Jun Li, a lifestyle blogger. Jun is a hair stylist consultant in profession and has worked with many celebrities in key events. Jun is also a columnist in magazine that focuses on lifestyle and personal image branding. He is also a guest speaker at many lifestyle events. The crossover from Jun between lifestyle, hair style and travel has always created great sparks for the travel audience. And we have our in-house blogger Samantha Wang who writes and publishes weekly articles on WeChat official account, Weibo and Mafengwo. Samantha aka Sam is a Chinese Millennials herself, studied hospitality management in Switzerland and travel extensively. Sam understands how Chinese Millennials travel, what they like and can always write some great articles that got picked by WeChat and got featured on “Top Stories”. Last and probably least, I am Anita Chan, CEO of Compass Edge. I am also a casual blogger going for the upscale luxury travel market. For work and for leisure, I am a true jet setter and I have been to over 50% of the world. I love to travel in style and always look for less-known places and unique experiences to share. So, lets the chit-chat begins. Anita: For me, I write when I have a wow experience when I travel that I want to share with my target audience which are luxury travelers. How about you guys? How do you choose what to write about? May: I travel a lot too and I write based on my first hand travel experience. But for my travel, I love to watch for details that normal travelers may miss so I will say I am writing based on “in-depth” travel which currently is a big trend for Chinese savvy travelers. Jun: For me, trends and seasonality basically drive my writing. Everyone especially Chinese wants to know what is “in” and what is “out” quickly, probably following the celebrities. Sam: I also write based on my travel experience. But since I have to publish articles every week, I also do research to see the trending topics Chinese are interested in to write about. For example, self-driving is now the trend for Chinese FIT so I put together the itinerary for Iceland Golden Circle self-driving which we got great views and engagements. Anita: Nowadays, there are tons of travel resources, tons of travel and lifestyle influencers on Chinese social media. How do you see yourself different from the rest? Sam: I am an average office lady in China so I write very practical things or tips so those are useful information an average Chinese can relate. Since most Millennials like self-service travel, I want to create useful resources they can use. May: I am on the other extreme here as I would like to call myself non-mainstream (非主流). From the first few travel books I published till now, I can talk about local people I met in the countryside, the no-name restaurants I had good meal or the nowhere places I just passed by that was so beautiful. I think I have captured an audience that too appreciate these. Jun: For me, I see myself different as my background and profession is hard to replicate. With 15 years of experiences and working with celebrities allow me to always stay on top with lifestyle trends. This is my edge I believe. Anita: Thanks all. Excited we are capturing a wide audience with all of you. This is a question specific for May. We always heard of how many millions of followers those Chinese Wanghong “网红” (internet celebrities) have. For you, you are not too focused on building up mass number of followers on the internet and prefer to continue to be cross-media KOL. Why? May: Ironically, I think it will be more sustainable to remain as cross-media as it is more difficult to be on TV, radio and travel magazines than just on internet. Now many Chinese can watch TV programs, listen to Radio podcasts online and because they see me on these media, they trust me and engage with me more. I think this is something most internet celebrities will not have. Anita: Totally agreed. Sam, as a Chinese millennial yourself, it is the segment you know many travel companies are trying to attract. How do you characterize Chinese millennials when it comes to travel? Sam: Millennials like unique things. They don’t go to places that many people go. They like places where they can take beautiful photos that they can post and share on social media. They prefer self-service and go anywhere they want and do anything they want and not bound by rigid package tour. I am the same (LOL)! Anita: Thanks Sam. Jun, your crossover with us proves to be broadening both of our client base which is wonderful. But for what you do, isn’t being a vlogger better to grasp the attention as video / live streaming is red hot in China? Is there any near future plans to see you on these channels? Jun: Of course, I am very convinced about video channels. But call me picky, I want professional videos done and not just the phone-shooting type. And for what I want to get done, the “production” is not going to be cheap and fast. But I am all for the video channels. Anita: Last, please each share one good idea for hotels who want to write something interesting on Chinese social media. Anita: I will give mine first. If I am still working at property level, I will find a few happy Chinese guests a month and ask what they like most about my hotel. If they are happy to be on video or photo, I will take videos or photos with them, add them on WeChat, then post on Chinese social media platforms. This is the real word-of-mouth impact that works for the China market very well. Can do other nationalities too and post on western social media. May be something crossed many hoteliers mind but surprised I have not seen hotels doing this. Jun: For me, because I get involved with events a lot, I think this is something hotels can write and get a lot of mileage on. I have seen many young Chinese just travel because of one event. And I am not talking about fashion shows or music concerts any more. Can just be a Yoga Master, Michelin Chef special tasting, etc. Sam: I think Chinese love food and it holds true to any generations. But young Chinese are more open-minded and love to try local delicacies. In my opinion, there is no need to advertise Chinese food for millennials travelers. Write about local food instead. Also, young Chinese love to gather and hang around with young people from other countries when traveling. Letting them see young people from other countries like to stay at this hotel will help to attract them too. May: Ha ha, I have my own theory. I think we work hard in our everyday life and this is “output”. For we travel, it is time to recuperate and this is “input”. Especially for the money-rich time-poor Chinese, to me, something is wrong if they have a packed exhausted schedule when traveling. So, I think hotels can focus on well-being, posts that can show Chinese how they can relax and enjoy life. Of course, this is not to target young Millennials but more for the affluent Chinese travelers. Anita: Thank you all of you for this interesting chit-chat. I am sure it provides many useful insights for independent hotels. I have enjoyed working with each of you!